In early February, President Trump’s administration made a change to the White House website. The site’s digital updates are often small and insignificant — updating a photo, fixing a broken link — and therefore may go unnoticed. But this one was different, and it could have an impact on every single American. The update eliminated the White House’s open data. On the surface, those 9 gigabytes of data sets may seem inconsequential: They include White House visitor logs, the titles and salaries of every White House employee, and government budget data. But that information helps to ensure transparency in government. It helps reporters and citizens figure out who has the ear of the president and his staff, for example. In response to this very issue, Democrats have introduced the Make Access Records Available to Lead American Government Openness Act, or MAR-A-LAGO Act, legislation that would require the Trump administration to publish visitor logs for the White House and any other location where the president regularly conducts official business. The Obama administration drastically increased the openness of government data, codifying it with an executive order that made open, machine-readable data the new default for government information, to ensure that we have transparency in government. So although the Trump administration’s moves are a return to the opacity of past administrations, it’s a move in the wrong direction. Perhaps most important is what this could mean for the U.S. government’s entire open data strategy, as the administration controls the information that so many businesses, organizations, and individual Americans depend on daily. Data is under attack. And it is the leaders of our government and economy who are waging this war. They have made it acceptable to manipulate raw data in a way that benefits them financially or politically — and it has lowered public confidence in the veracity of information. These are institutions we rely on every day to make the policy and business decisions that affect our economy and society at large. If anyone is allowed to simply change a number or delete a data set, who — and what — are citizens supposed to believe? How can we get our data back? The answer lies with the public — public blockchains, to be specific. Here are the basic principles underlying the technology. Each party on a blockchain has access to the entire database and its complete history. No single party controls the data or the information. Every party can verify the records of its transaction partners directly, without an intermediary. Communication occurs directly between peers instead of through a central node. Each node stores and forwards information to all other nodes. Every transaction and its associated value are visible to anyone with access to the system. Each node, or user, on a blockchain, has a unique 30-plus-character alphanumeric address that identifies it. Users can choose to remain anonymous or provide proof of their identity to others. Transactions occur between blockchain addresses. Once a transaction is entered in the database and the accounts are updated, the records cannot be altered, because they’re linked to every transaction record that came before them (hence the term “chain”). 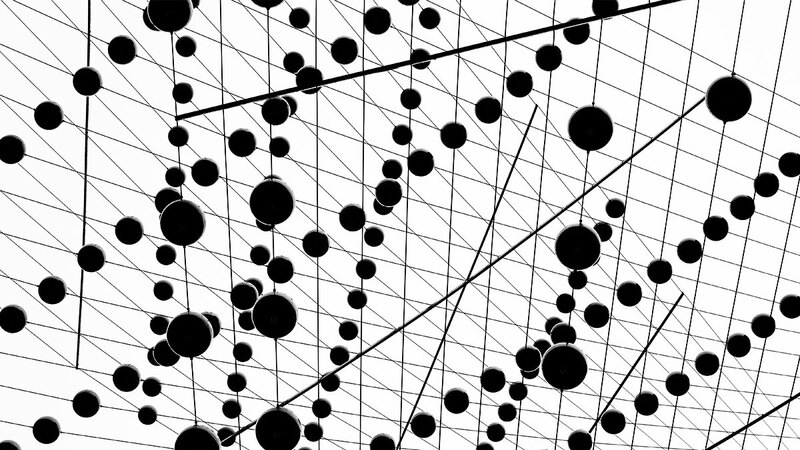 Various computational algorithms and approaches are deployed to ensure that the recording on the database is permanent, chronologically ordered, and available to all others on the network. The digital nature of the ledger means that blockchain transactions can be tied to computational logic and in essence programmed. So users can set up algorithms and rules that automatically trigger transactions between nodes. A public blockchain, like the one bitcoin uses, is a ledger that keeps time-stamped records of every transaction. Recording a transaction on a public blockchain is the digital equivalent of writing something in stone — it’s permanent. More important, it’s publicly available for anyone to see and verify. The first public blockchain was conceived of as a way to record financial transactions, but people have started using it as a way to timestamp the existence of digital files, such as documents or images. The public blockchain establishes that a specific person or entity had possession of a file at a specific date and time. Useful for patent or copyright claims, the blockchain could also ensure that a government agency or company verifiably published its data — and allow the public to access and confirm that the file they have is the same one that was signed and time-stamped by the creator. The timestamp and signature alone don’t prove that the data is accurate, of course. Other forms of checks and balances, such as comparing data against tax or SEC filings, can be added to ensure that there are legal ramifications for entities that manipulate their data. In the same way, government data, like employment or climate data, could be checked against local, state, or academically collected information that has already been time-stamped and signed by credible institutions. Using the public blockchain in this manner would not only address our data access and manipulation issues but also lay the groundwork for a better system to more efficiently and effectively regulate the fastest-moving startups. Some tech companies, with their near-instantaneous feedback loops, believe they can regulate their ecosystems more efficiently and effectively than governments can, with its antiquated, in-person inspection efforts. And there’s some truth to that. Right now, many local and state governments regulate ride sharing and home sharing in ways similar to how they regulate taxis and hotels, with a combination of police officers, signs, and consumer complaints through 3-1-1 calls. At the same time, governments have watched these startups manipulate their data, and are therefore reticent to trust a company that might put its financial motivations ahead of regulation. Conceivably, companies would update their information to the blockchain, with secure mechanisms put in place to protect individual and corporate privacy, and the government would use this data, submitted in real time, to apply local laws to those companies, their employees or contractors, and consumers. The government agency responsible for overseeing the industry would then analyze data, such as consumer feedback ratings and other relevant information (for example, whether ride-sharing drivers take tourists on a longer route), to improve safety and better protect the rights of everyone involved. In other words, the government would use lightweight algorithmic regulation to protect local citizen rights and safety. The public blockchain would fundamentally change the way we govern and do business. Rather than asking companies and consumers to downgrade their digital interactions in order to comply with the law, the government would create an adaptable system that would reduce the amount of paperwork and compliance for businesses and consumers. Rather than force emerging technologies and business models into legal gray areas, the government would use algorithmic regulation to create a level playing field for incumbent companies in their respective industries. Unless we tackle our crisis of data now, distrust between government, businesses, and citizens will reach an untenable peak. The growth and innovation of our startup economy will be stunted, and the ability for local and state governments to effectively govern will simply erode. We need open data to keep making important business and policy decisions — and we need to put it back into the hands of the public. Our data problem doesn’t have to be a crisis. It can be an opportunity — a chance for our business leaders and policy makers to rebuild a foundation of trust in the critical data we all depend on. Loyalty schemes are regular marketing tools used by businesses to retain customers. However, when the system of collecting benefits is complicated and is not well-thought-through, the customer is left unsatisfied. In Japan, many credit card companies are giving loyalty award points to the end-users as an incentive to use their cards. End-users can exchange the loyalty points for services or products they want. The main drawback is that they need to go through complex steps on a website or call an operator. As a result, the liquidity of the loyalty point is quite low. This observation has brought Digital Garage to the idea of creating a new marketing solution that will simplify the monetization of loyalty points. And here is where the adaptation of the Blockchain worked perfectly to realize the idea. According to Taro Watanabe, operating officer at Digital Garage, the company is building a real-time exchange system that enables end-users to use the loyalty points just like a currency based on the Blockchain technology in conjunction with Blockstream and one of three major credit card companies as well as their business partner Credit Saison. Thus, end-users can instantly exchange their loyalty points into other digital value which can be used at any location. The same system can be used for regional currencies. It means that the Blockchain-based Digital Garage product can work globally and potentially everywhere digital currencies exist and are accepted. Digital Garage also has plans to develop a system that will release machine automated contracts – i.e. help the execution of contracts based on the regulations and business practices in Japan based on the Blockchain technology. As for loyalty support service, they intend to partner with major credit card companies, local governments as well as local shopping districts so that they will encourage their customers to use their exchange service which runs on top of Digital Garage platform. Users can exchange loyalty points and/or local currencies for a service and/or a product at their choice in real-time which is not provided so far in Japan. In addition to that, they are already providing many payment methods provided by third-parties including Alipay, PayPal or other standard payment systems. 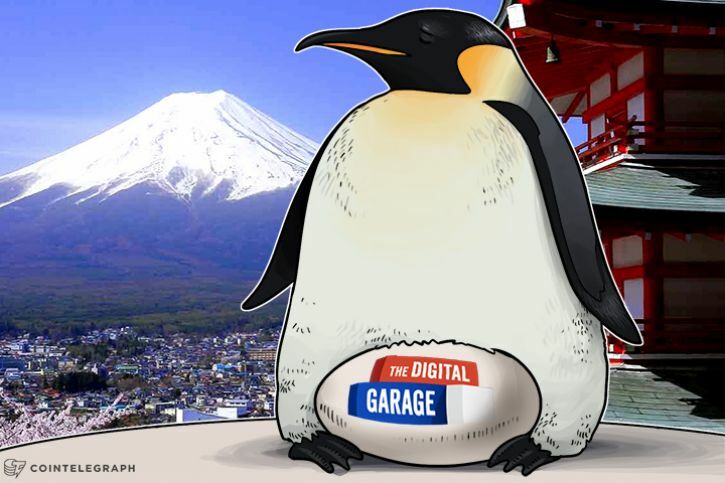 Digital Garage is confident that Bitcoin is the most secure digital currency at this point since it is based on the Blockchain technology which has yet to be tampered with since its invention. Taro Watanabe believes that public Blockchain technology based on Bitcoin will bring fundamental change to the financial business model. 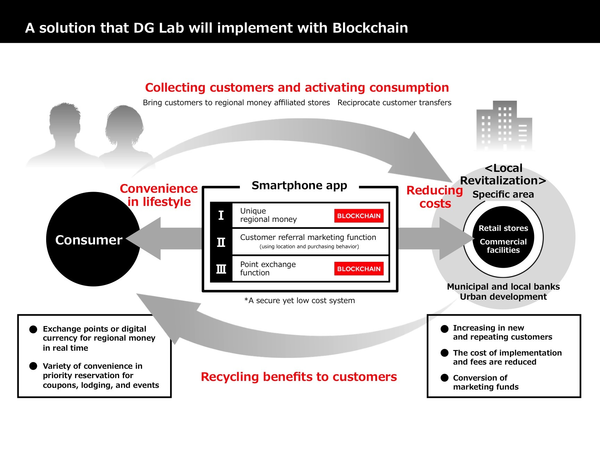 In fact, Digital Garage has all the cards at hand to be a trigger in the development of Bitcoin usage and boost Blockchain in Japan. They plan to contribute to the Bitcoin Core open source community, expand the developer community first in Japan and then promote the idea of Blockchain as a social infrastructure through development and education. Just another set of numbers on a blockchain. Keeping track of who owns what pieces of land is still a low-tech affair, involving mountains of hand-signed documents, envelopes, and couriers. That is if a country is lucky enough to have a functioning land registry—the World Bank estimates that 70% of the world’s population lacks access to land titling. Getting everyone to agree on every stage of a property transaction, and to record it permanently somewhere, is a feat of security, coordination, and trust. Enter blockchain technology, the technical concept behind bitcoin, which is designed to solve precisely those problems, or so its boosters say. Land titling has long been one of the most talked-about uses for the tech. The argument, made by everyone from the British government to consultants at PwC, is that the current outmoded systems are susceptible to forgeries and simple clerical errors. It’s one reason why the US has a massive title insurance industry, which the New York Times has called a “scam” (paywall). Putting transactions on a blockchain makes all that paper go away; and it becomes much more difficult, if not impossible, to forge records. A blockchain is a digital registry that can’t be tampered with. It provides a mechanism for various parties to agree on a set of facts. It prevents those parties from making false statements since everyone else can check the facts; it also prevents statements from being changed after they’ve been recorded, since all parties are alerted to these changes. With bitcoin, for instance, the blockchain acts as a ledger of every transaction, thus providing proof of who owns how many bitcoins. But while bitcoin is an example of a public blockchain, where all transactions are open to the public, financial and other institutions are trying to create private blockchains, where some data is available only to certain participants. Sweden is the country that’s furthest along in putting land registries on a blockchain, and it’s entering the next phase of its experiment. It’s also notable because it’s one of the few wealthy countries taking this seriously; in places, with well-developed land registries there’s usual resistance to adopting a new system. 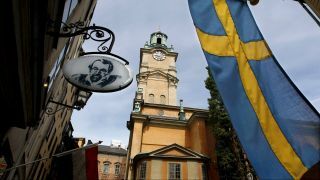 The already highly digitized Swedish land registry gives the country a shot at making this work. Sweden’s land registry authority is called the Lantmäteriet. Since last June the body has been testing a way to record property transactions on a blockchain. This could save the Swedish taxpayer over €100 million ($106 million) a year by eliminating paperwork, reducing fraud, and speeding up transactions, according to an estimate by the consultancy Kairos Future, which is also involved in the project. The Swedish system operates on a private blockchain. This has the land authority and others, like the banks, holding copies of the records. When a land title changes hands, each step of the process is verified and recorded on the blockchain (full details in this pdf). The system acts as a highly secure and transparent verification and storage service for property transactions, but it stops short of a full-blown cryptocurrency where land can be bought and sold as easily as a bitcoin. “There is no risk you will lose your land like you lose bitcoin,” Kempe says. But for all of Snäll’s bullishness on the technology, Swedes probably won’t be getting their title deeds checked on a blockchain anytime soon. Legal obstacles, like the validity of digital signatures, need to be resolved. The soonest this system will be in place, if ever, is 2019, Snäll says. The project’s next phase, starting in May, is to integrate other Swedish public bodies, like the tax authority, Kempe says, who have expressed an interest in a permanent ledger of their own. A lot of businesses do social media marketing wrong. They hear everyone screaming, “You must have a social media presence,” but what that entails isn’t always spelled out correctly. Social media marketing should be effective and affordable, and when done correctly, it can help scale businesses of all sizes. Just like with traditional channels such as television commercials, radio spots, and print ads, your results are going to be minimal at best if you broadcast your message to the wrong audience. To help you execute a successful social media marketing campaign, I spoke with six entrepreneurs to put together a list of must-dos. “The only way you are going to know what your customers want is by listening to what they have to say. It’s important that you use your social media platforms as an extension of your customer service. More customers are going to voice their opinion on social media than via email or over the phone,” says Ryan Koechel, VP of Marketing for ABODO. When you listen to your audience, you open the door to other opportunities as well. For instance, when my influencer marketing agency plans campaign strategies for a brand, we often audit their social media followers to identify key influencers. Learn to listen to your audience — it can provide you with valuable information. There is smart automation and then there is spammy, ineffective automation when it comes to social media marketing. You don’t want to blast out promotional offers all day long — that’s a quick way to lose all of your followers. Use social media as a way to communicate with your audience and provide them valuable information. When you do that, you create happy brand supporters you can eventually convert into sales. “If you have a full-time social media employee, make sure they are consistent and push out content across all of your social media profiles. There are several pieces of automation software, like Hootsuite, that offer a free plan that can greatly increase your efficiency. If you schedule your posts in advance it gives you more time to dedicate to replying and engaging with your social media followers,” advises Daniel Moravec of StreetSaw. “It’s one thing to fill up your social media feed with posts, but it’s another thing to actively engage with your audience and turn them into satisfied customers. I see a lot of small business owners posting a couple times a day, thinking that they are doing the right thing when it comes to social media marketing. You can’t just post and walk away. If you do that, you are missing prime opportunities to engage with your audience and convert them,” explains Roy Surdej of Peaches Boutique. Engaging your followers allows you to uncover problems or issues other customers might be experiencing as well. 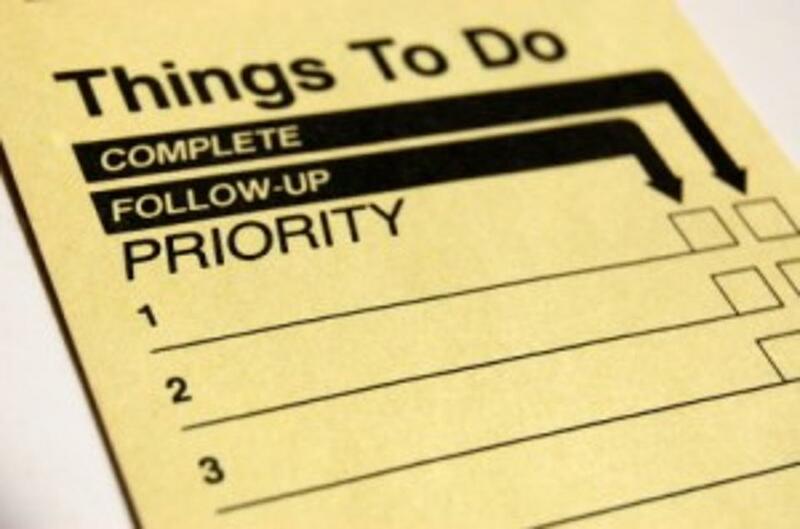 Then, you can be proactive and address those issues quickly before they turn into fires that are difficult to put out. When your communication lines are always open, you will often discover problematic situations before they spiral out of control. It’s nearly impossible — and almost always ineffective — to be active on every single social media platform. I always suggest new brands should start with two or three social media platforms they are certain their target audience is active on. 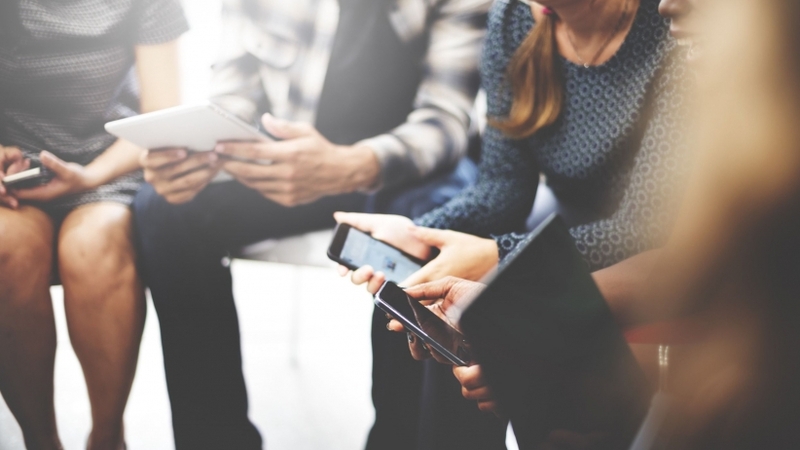 Master those, and then expand your social reach as the business grows and more effort can be allocated to additional social platforms. “You will never run a successful social media marketing campaign if you don’t measure your results. It’s important that you lay out clear goals with benchmarks that allow you to determine whether or not your social effort is paying off. The data you collect and analyze can then be used to make changes to your campaign. You must be willing to constantly optimize and test your efforts if you want to develop a truly successful campaign,” explains Eric Ritter, Founder & CEO of Digital Neighbor. It doesn’t matter if you are working with a $10 daily social media budget or six figures. The objective is the same — put your message in front of the correct audience and trigger engagement. In order to do that, you need to track and measure everything. It’s often hard for startups to get their name out there and build an audience, especially when they are starting from scratch, sometimes with a lean team and an even leaner budget. However, inbound marketing for startups can help bring customers to you through relevant and valuable content. What is Inbound Marketing for Startups? The inbound marketing approach focuses on attracting customers through relevant and valuable content and interactions, rather than interruptive methods. 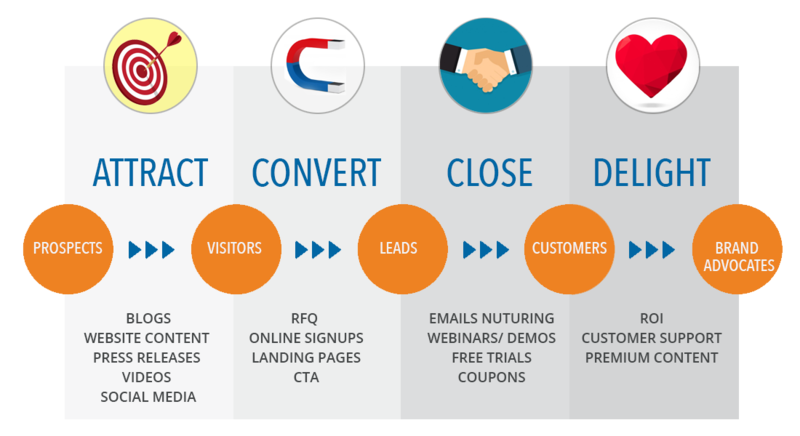 HubSpot describes inbound marketing methodology in four stages: Attract, Convert, Close, and Delight. This is how you take strangers and turn them into brand advocates.Inbound marketing focuses on reaching prospective customers during each stage of the buyer’s journey through targeted content. By developing compelling and useful content tailored to top, middle, and bottom of the funnel prospects, you can give consumers the information they need when they need it to guide them through the purchasing process. This approach to marketing works for startups because the expense is typically low with a potential for high ROI, allowing companies to maximize marketing spend. Inbound marketing is also all about connecting with consumers and educating them, which is important for startups that typically work in niche markets. How Can Startups Use Inbound Marketing to Begin Generating Leads? Content marketing is an essential part of the inbound marketing method. This is how you attract, convert, close, and delight your ideal buyers. With content marketing you are creating and sharing interesting, relevant, and consistent content that adds value for your leads and customers. This content should not be purely promotional, but rather informative and compelling. … and the list goes on! Consistency also important when it comes to content marketing. You need to maintain a consistent voice across content and publish often to hold your audience’s interest. Once you have content assets, you also need to have a plan for promoting them, whether that is through your website, social media, paid ads, or through some other promotional channel. If you want to continue to improve your content to maximize impact, you will also need to have a plan in place for monitoring content marketing success. Search engine optimization is another important part of inbound marketing. If you want to bring more leads and consumers straight to you then you’re going to have to go through the search engines. In fact, 93% of all online experiences begin with a search engine. You cannot afford to miss out on that many opportunities to bring in new leads, so you need to optimize your content and website for search engines like Google. The single most effective SEO technique is content creation. Though there are many intricacies involved with search engine optimization, one thing remains true – the more consistent and quality content you produce and promote, the better you will rank in the search engines. Though it is worthwhile for startups to work with an SEO expert to ensure that their site and content is optimized for search engines, you don’t have to have a complex SEO strategy in place to start creating the type of content that will help you generate more leads. Focus on creating quality content that emphasizes keywords and phrases in your industry. By creating content that addresses your consumers’ biggest challenges, you are already working toward content that adds value. Not only does email help you improve lead generation, but it is also a great tool for nurturing leads and current customers. Again, it’s important to provide your leads and customers with valuable and relevant content if you want to hold their interest. Startups can use social media to reach out to consumers who may be interested in their product or service. Social media channels like Facebook, Twitter, and Instagram are great places to promote your content and reach new audiences that you may not have been able to access through search engines alone. The key to effective social media marketing is to be social – respond to visitor questions, comments, and feedback. Don’t be afraid to spend some time in the comments section talking to your leads and customers. Not only will this help you establish better relationships with your followers, but it may also help you gain important insight into their needs, wants, and motivations. When it comes to social media, do not try to be everywhere at once. Most startups have minimal time and resources to dedicate to tasks outside of their core business, so it’s not worthwhile to spend time on channels where very few of your ideal buyers spend time. Instead, focus on the social media platforms where you can have the biggest impact. Research which channels your target market frequents and which types of content are most popular and effective on these channels. Targeting your social media efforts will help you save time and money while maximizing lead generation success. Landing pages play an important role in guiding your leads toward conversion. Landing pages are web pages that help you capture a lead’s contact information through a lead-capture or conversion form. You can send leads to a landing page to redeem an offer or download unique content. Since landing pages allow you to target your audience and offer them something that they will find valuable, they often convert a higher percentage of your leads while allowing you to get important lead contact and demographic information. Calls-to-Action also play an important role in lead generation and conversion. A CTA is just what it sounds like – it calls on your audience to take a specific action. CTAs can be used on your website and across content offerings to help drive visitors to the next step in the conversion process. The key to developing effective CTAs is ensuring that they are clear and specific so that there is no question about where you want your visitor to go next. There is no question that inbound marketing for startups can help you effectively generate more leads over time. However, some startups need to start seeing results sooner rather than later. Paid advertising campaigns can help amplify your inbound marketing efforts. By combining inbound campaigns with paid ads, startups can maximize their marketing spend and start seeing results much sooner. Social media ads are one type of ad platform that can help you amplify your inbound marketing efforts. For example, let’s say that you have spent time and resources creating an interesting and valuable e-book that your target audience will really love. You’ve put the e-book up on your website and shared it across social, but you aren’t seeing the kind of traffic that you’ve hoped for with the e-book. It is most likely because you’ve just gotten started and your SEO and social media efforts haven’t had time to work their magic just yet. Here comes paid advertising to the rescue! You know that many of your target buyers are on Facebook, so you can use Facebook advertising to target your ideal customers with an ad for your e-book. The ad takes them to a landing page where you gather their contact information in exchange for the e-book. Next thing you know, the leads are rolling in. Though these buyers were always interested in the type of content that you were providing, it just wasn’t visible to them until you invested in the paid advertising. Boost traffic to inbound marketing materials. You can create a paid search campaign with keywords that center around your content offerings to increase traffic to these lead-generating inbound materials. Fill in the gaps in your SEO. Search is highly competitive, and it sometimes benefits you to bid on keywords that your competitors are bidding on in order to let their audience know that you are providing an alternative. Test new landing pages and keywords. When you develop new landing pages or consider new keywords that you’d like to rank for organically, you can use paid search ads for testing. Create paid search campaigns targeting your new keywords and direct them to the landing pages that you’re trying to test. Then, review the data to see where you stand. The key to maximizing impact and spending your marketing budget wisely is being strategic in your approach to paid ads. Though you can work on developing PPC ad campaigns on your own, many startups will outsource PPC management to an agency. That is because there are many intricacies involved with paid search ads, and if you don’t know how to navigate the world of PPC, you may end up wasting a lot of time and money. It is often more cost-effective and efficient for startups to entrust a PPC agency with their paid campaigns. Developing strong content is one of the most important parts of inbound marketing for startups. Creating a data-driven content strategy and consistently crafting informative, interesting, and useful content takes time. This is something that most startups just don’t have. Not only do many startups not have the time to research and write effective content, some also may not have a person on their team who is a talented and dedicated writer or content creator. Once people are interested in your brand, you need to keep them interested. This is where nurturing campaigns come in. However, nurturing your prospects and encouraging repeat business from customers requires knowledge of things like email frequency, subject line optimization, and other marketing expertise that some startups may not have. Not to mention, nurturing campaigns require you to already have an established body of work to offer, which many startups don’t have either. The truth is that inbound marketing for startups takes time. A lot of inbound tactics like SEO and social media need to be established early and given time to take root before a company can really start to see results. Most startups need to focus on their core business, and they may not be able to dedicate time to establishing and nurturing these inbound marketing strategies. 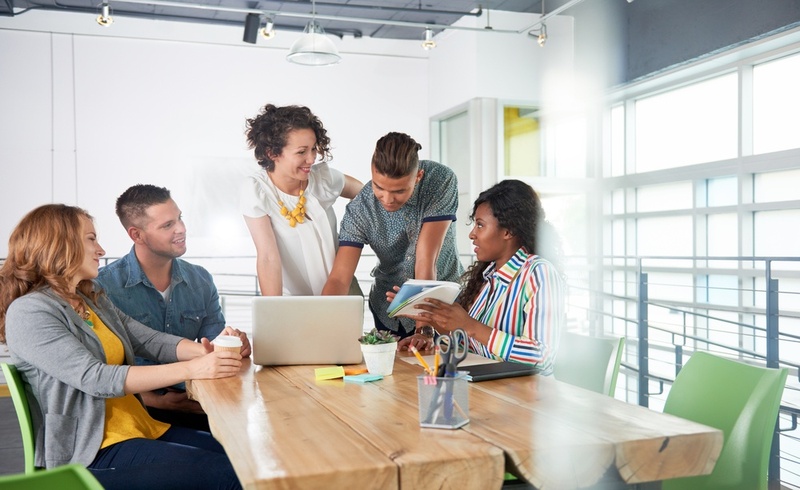 To overcome these challenges, entrepreneurs and startup owners can look to partner with an established inbound marketing company that has the time and resources to dedicate to their marketing efforts. Even those startups that have a lean marketing budget can work with an inbound marketing agency in the initial stages to ensure that they are on the right track for inbound success. In the end, inbound marketing will help bring more consumers to your brand through targeted content, which saves you the hassle and cost of finding new leads. Whether you hire an inbound marketing agency to handle all your marketing efforts or just get help with a few aspects, your startup with ultimately benefit from a team of dedicated professionals focused on your inbound marketing efforts. Strategy: How should you go about pursuing an opportunity? How do you know which path is best? Just because an opportunity is in front of you, doesn’t mean it’s a good one. Understanding the fundamental drivers of your business, and the business of your customers, partners, and competitors is critical to being able to make wise decisions in the pursuit of long-term value. Being able to assess an opportunity for its potential to create long-term value, determine the paths available to you to pursue it, and understand the trade-offs and risks of one path vs. another, are core Biz Dev functions. Sales: Whether you're selling a product or the idea of a partnership, almost every business development role has some element of sales. The process of navigating through an organization, identifying decision-makers and uncovering their unmet needs, and concisely demonstrating the value of what you can offer are core sales skills needed whether you're selling a product, service, or partnership. Relationship Management: From How to Win Friends and Influence People to Never Eat Alone, much ink has been spilled on the importance and value of strong, respect-based relationships. Business development requires not only having an expansive network to help you facilitate a deal, but also a deep understanding of how to build and maintain new relationships to leverage them when needed. Relationships with partners, customers, colleagues, and even the media, can all be crucial factors in not only getting in the door to a biz dev opportunity but keeping it open. “Wait a second,” you’re asking. ”You forgot about partnerships? Isn’t business development all about partnerships?” In short, no, it's not. Partnerships are a common course to pursue a given business development opportunity, but they are but one option amongst many when evaluating the path to creating long-term value. And though scouting, signing, and developing partnerships is an everyday task in many business development roles, the skills required for partnerships are really an amalgam of all other Biz Dev skills – a mix of sales, relationship management, and strategy. As frequently as they arise in the day job of business development, partnerships are only one potential outcome of Biz Dev done right. Do the role of business development change as a company matures from a startup to enterprise? Yes and no. In the early stages of any company, the role of business development is often left to the founder, CEO, or an early hire. The role of forging partnership deals does take on an increased priority, as the decision of which potential path to pursue an opportunity often favors the sharing of resources that's incumbent in partnerships. But the day-to-day activities of business development remains the same: at a startup or a large company alike, whoever plays the role of "biz dev guy/gal" must be constantly evaluating the best path to create long-term value, whether it an option built in-house or pursued in partnership with others. In my view, a “pure” Biz Dev job will have some combination of all of the above skillsets – identifying and strategically assessing an opportunity to create long-term value and then executing on a path to pursue that value. But whether you're playing Biz Dev as a team sport or an individual contributor, the interplay between Strategy, Sales, and Relationship Management informs the potential for a company's growth path. Business Development is a function that is varied, complex, and exciting – although the nature of Biz Dev may be ambiguous to some, the importance of the role should be clear to all. ASHFORD, United Kingdom, March 27, 2017 /PRNewswire/ — BitConnect Coin (BCC) has announced a new record high, in terms of value and market capitalization. The cryptocurrency's record growth, in a matter of few months, come as the development takes off with the introduction of a range of new apps and a bright outlook towards the future innovations in 2017. BitConnect Coin (BCC) is an open source, peer-to-peer, community driven decentralized cryptocurrency that allows people to store, invest their wealth and even earn a substantial interest on the balance stored in the wallets. BitConnect Coin has only been a market currency since the 11th of January, 2017, but has already gained a significant global following. Starting from its conceptualization in the fourth quarter of 2016, BCC has just this week set a new record for value per coin and market capitalization. According to the leading cryptocurrency market website CoinMarketCap, BCC breached the top 20 chart for alternative coins in total capitalization value. BCC's total market capitalization has surpassed the $10 million (USD) mark, to make it the fastest growing altcoin. This sharp increase in market cap has resulted in a matching growth in the coin's value, which passed the $2.00 mark at around the same time. BCC developers see the impressive growth rate as a very positive early sign. By comparison, even the most dominant and valuable cryptocurrency Bitcoin, took over two years to reach the same price. BitConnect's Head of Development, Satao Nakamoto while describing the cryptocurrency's mission said, "BitConnect's mission is to provide crypto-education and multiple investment opportunities to empower people financially. There are many features and functions to come in 2017. BitConnect's mission is to become the leading crypto-community in the world when it comes to functionality and user base by the year 2020." The official beta launch of BitConnect's application for Android and iOS mobile platforms will have a positive effect on BitConnect Coin, leading to a further increase in demand and price of the cryptocurrency. In the coming months, BCC will see more innovation, along with the addition of convenience features. The awaited developments in BCC ecosystem includes the launch of BCC Mining and Staking Pool that provides a way for the community to earn; BCC mining and minting rewards; brand new mobile and paper wallets; and BCC Smart Card to allow people use the cryptocurrency for daily use. BitConnect Coin is designed to offer financial freedom to the masses by reducing if not eliminating the dependency on centralized banking and financial institutions. In addition, the cryptocurrency is also more secure than conventional financial instruments, eliminating the chances of identity theft and other issues that currently plague fiat based electronic payments infrastructure. BitConnect Coin offers a new level of empowerment to its community members. Members can connect socially and financially to a secure, protected community of investors and lenders. By connecting with the community, BCC users can increase the value of their coins in the wallets as the cryptocurrency's price increases. In less than one year, the BitConnect online community has gained over 50,000 members around the world. It has also added a news department, engaged with online leaders like Kim Dotcom, successfully launched its own digital currency, added a proprietary Bitcoin wallet, launched an innovative global Bitcoin lending program, and surged from zero traffic to a top 100k Alexa ranking. BitConnect has become simply the world's fastest growing online Bitcoin community. BitConnect Coin is a Script (PoW/PoS) consensus algorithm based cryptocurrency with a finite number of tokens. The total number of BCCs are limited to 28 million. The limited number tokens ensure constant appreciation of value in the light of ever increasing demand. The algorithms used on BCC protects the decentralized nature of the platform. BitConnect Coin facilitates quick transactions between wallets allowing people to make instant transactions between each other or to pay for goods or services. Unlike Bitcoin, the block generation time on BCC platform is 2 minutes. These features prevent transaction backlogs and at the same time also proves to be more rewarding during the PoW phase, where miners stand to receive a block reward of 10 BCCs. A crypto-one-stop-solution platform, COSS for short, is officially deployed in beta today. The platform merges the most popular cryptocurrency services, e.g. a wallet service, an exchange, a merchants’ platform, into a shared virtual space, in which cryptocurrency customers and merchants can meet and interact. Developed by an international team headquartered in Singapore under C.O.S.S. 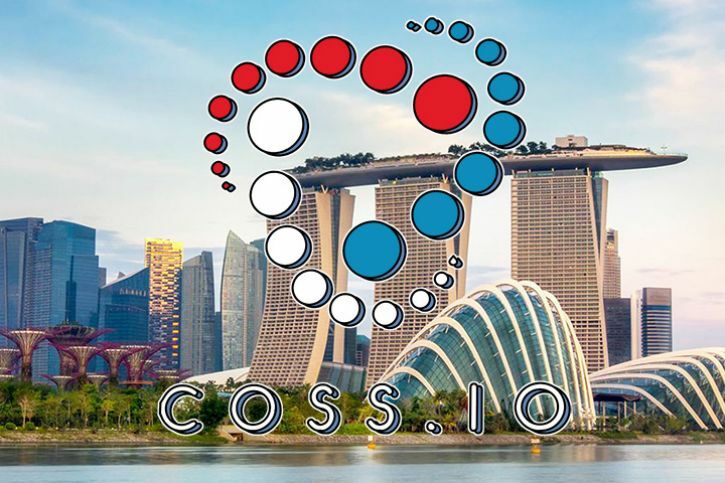 PTE LTD license, the COSS platform was first introduced as a final examination project that the CEO of the company, Rune Evensen presented to the committee of the MIT Fintech course in 2016. That was the first draft of a gigantic project that would hardly see the light of day, if it hadn’t received the support of the participants and the experts of the course. A very thorough plan for COSS was designed shortly after the course finished, with the project kickoff scheduled for December 2016 followed by the testing phase in the beginning of the year 2017. Since then, layer by layer, the platform came to live. The developers’ team nicknamed COSS the “living” project, as it has no end-destination point and can last forever like the internet itself, with more and more startups being added with the time. In February 2017 the white paper was published on coss.io homepage outlining the technical specifics of the platform. Having learned from the mistakes of the cryptocurrency pioneers such as bitcoin, the developers of COSS focused on the security of the platform and implemented the platform on top of the Ethereum blockchain. The main idea behind COSS is the creation of a single user-friendly ecosystem suitable for mass adoption and non-technical users, which would combine crypto and fiat currency services, available for customers with a single registered account all in one place. "Redefining simplicity has been on our mind since day one, and we truly believe that COSS can make it a lot simpler for any average Joe out there to enter the world of cryptocurrencies and blockchain-related products and services,". Upon its soft launch in beta, the COSS platform has an exchange with payment gateway/POS system running. In the nearest future, the following features will be setup: a crowdfunding tool, an ICO platform, 3rd party provider plugins, market cap and coin overviews, a blockchain forum, a remittance and a payment gateway. The native currency of the COSS platform VEROS, is implemented as an Ethereum smart contract, which governs the validation, the distribution, the value and the ownership of the tokens. Apart from VEROS, the platform will support the most widely-used cryptocurrencies that customers will be able to convert to fiat via the COSS exchange service. A lot more features will be added to the platform during the next phase of development. "I would like to personally thank all the involved parties that have contributed endless hours to this project. Although we are just getting started, it is a huge MILESTONE for us to finally go live,"
COSS stands for Crypto-One-Stop-Solution and represents a platform which encompasses all features of a digital economic system based on cryptocurrency. The COSS system consists of website payments, seller tools, a marketplace, financial module, e-wallets, coin facilities and a mobile platform. The platform unifies the most popular crypto and fiat currency services, e.g. exchanges, payrolls, wallets, acquisitions, and transactions. VEROS is a secure and transparent cryptocurrency, launched in October 2016, and implemented on the Ethereum blockchain as a smart contract. VEROS is designed specifically for massive adoption and everyday use. Things are going incredibly well for Ledger these days. People find bitcoins, ethers, and other cryptocurrencies exciting again. And the French startup just raised a $7 million Series A round to make hardware security devices ubiquitous. MAIF Avenir, XAnge, Wicklow Capital, GDTRE, Libertus Capital, Digital Currency Group, The Whittemore Collection, Kima Ventures, BHB Network and Nicolas Pinto participated in today’s funding round. If you’ve been following cryptocurrencies for a while, you know that you shouldn’t trust bitcoin and ethereum startups that centralize everything. There have been many hacks, there will be more hacks. And you don’t want to trust some startup’s security team when you can do it yourself. Sure, you can run your own bitcoin wallet on your computer. But hackers could still access your computer and your bitcoin wallet, so it’s still a point of failure. Ledger makes hardware wallets for multiple currencies. These tiny devices have a secure element. You might not even realize it, but your smartphone also has a secure element to handle fingerprint readers or NFC payments, such as Apple Pay or Android Pay. Ledger runs some tasks directly on the secure element, making it much more secure than running an app on your phone or your computer exclusively. This way, you can easily protect your bitcoins without a lot of security knowledge. Nobody can access the private keys on the device. And the device constantly checks the integrity of the firmware. 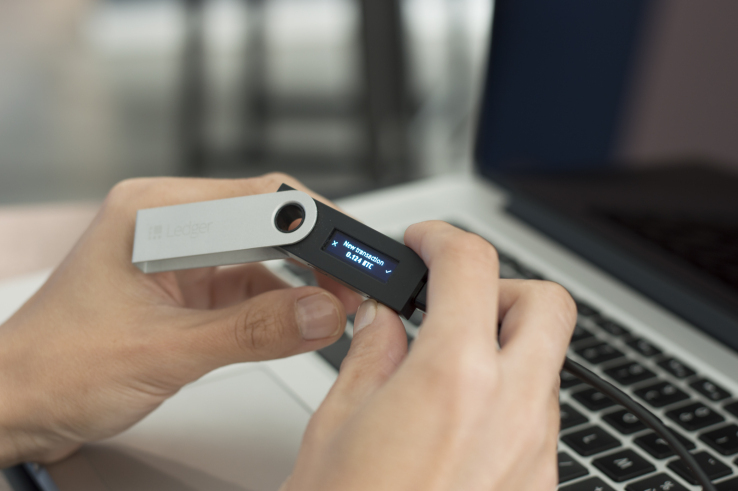 The Ledger Nano S is the company’s most popular device. It’s the size of a USB key and has a tiny display. After initiating a transaction from your computer, you’ll have to confirm the transaction on the device itself and enter your PIN code. This way, even if your computer has been compromised, the transaction order won’t go through on the device and you won’t be able to confirm the transaction. The company also makes a high-end device with a built-in touch screen called the Ledger Blue. The Ledger Nano S costs around €70 while the Blue costs €275. Ledger has sold more than 50,000 wallets so far, and the last few months have beat the company’s expectations by a wide margin. But cryptocurrency wallets are just the first step. By running a secure operating system on a secure element, there are other potential applications. For instance, Ledger could sell chips so that companies working in sensitive industries can make sure their servers weren’t compromised. You can imagine hedge funds and financial institutions using Ledger products. Energy suppliers could also use Ledger’s technology to make sure that the consumption level is legit. That’s why the company is raising money to go beyond hardware wallets and find those industrial clients.